Not only are orchids beautiful to look at, but many orchids have edible uses that you may not know about. In fact, edible orchids have been ingested in a variety of forms for medicinal purposes for a very long time. Ancient Greeks believed that consuming orchid tubers could increase fertility and traditional Chinese medicine has made use of different types of orchids to help with eyesight and even treat cancer. Orchids are not typically consumed in their natural state but rather the flowers or canes are dried and then steeped in hot water to create a tea. In Asian cuisine, Dendrobium blooms are often used as garnish and occasionally added in a stir-fry. The flowers can also be battered and deep fried like tempura. Certain varieties of Dendrobium can irritate the stomach, so be sure to exercise caution when trying them yourself. 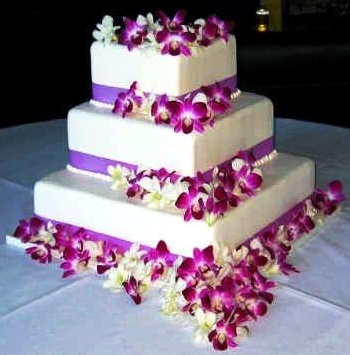 Dendrobium blooms are also often used as decorations on cakes and cupcakes. A very popular product made from orchids is called salep, which is made from the Orchis tubers by drying them out and grinding them down into a powder. This powder is popular for making desserts, bread, and drinks. 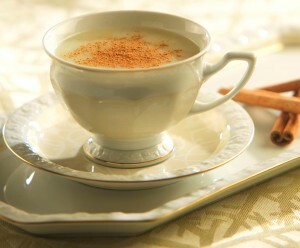 The most popular use of salep is to make a hot beverage that is often found in Turkey, Greece, England, and Germany and is also found in Asia and India. The powder is mixed with hot milk and then flavored with a little cinnamon, nutmeg, or ginger. Because the drink is so popular, it is now illegal to export the powder in order to help conserve the wild orchid population. Another food product made from salep is called dondurma which is also known as Turkish orchid ice cream. This particular ice cream is not like “typical” ice cream but rather very chewy and does not melt. It is often compared to saltwater taffy. The ice cream is made with milk, sugar, salep, and mastic (provides the chewy texture) and is kneaded either by hand or in a mixer. 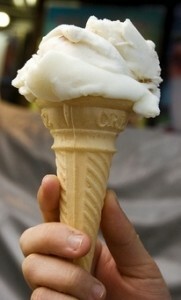 The ice cream is very commonly seen in Turkey and also in Greece where it’s referred to as Dudurmas or Kaimaki. It is not recommended that you do not eat any part of an orchid until you do sufficient research and find out if an orchid is edible and how it should be properly prepared for consumption. Most of the houseplant orchids that you can find in stores aren’t the types that are edible. If you’d like to learn everything you need to know about orchid care (ALL types of orchids) we also have something called the Orchids Made Easy Green Thumb Club.